Medical students are some of the people that give up a lot to save our lives. From years in school, to hours of dedicated service, in hospitals, clinics and any areas where they are faced with emergencies. One of them is currently very ill, and needs us to hold our hands together in prayer, and support. 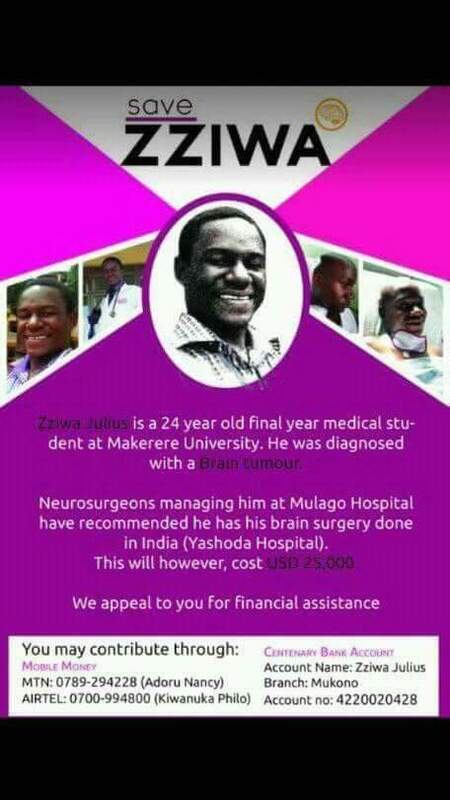 Save Zziwa, a medical student form Makerere University, who has been diagnosed with a brain tumor. Zziwa is one of the brightest students you will ever meet. Let us save him from this fight. 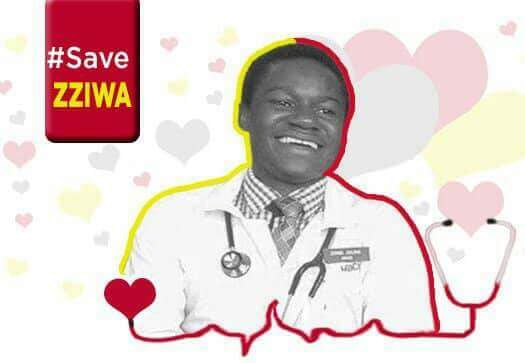 From his classmates, friends and family, that have shared this information, we know that Zziwa is a wonderful, humble young man, and is greatly talented in his field. He is 24 years old, and currently in his 5th year of studies in Bachelor of Medicine, and bachelor of surgery. Zziwa developed a brain tumor and was diagnosed early this year. He requires USD 25,000 for surgeries to be performed. He needs to undergo definitive head surgery to extract the tumor and has been recommended to have this performed in India.